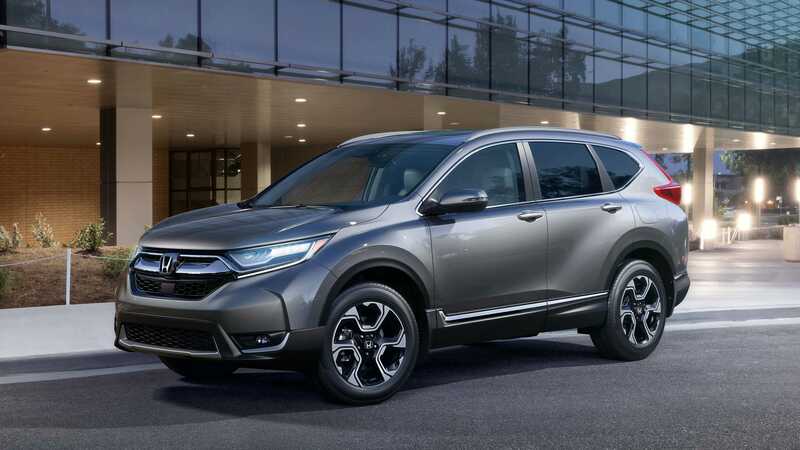 The New Honda CRV sets a high standard for safety features that you can trust to make your driving experience safer. With Controlled Braking, using 4-wheel Anti-locking Braking System, designed to help you maintain control even under hard braking conditions1. 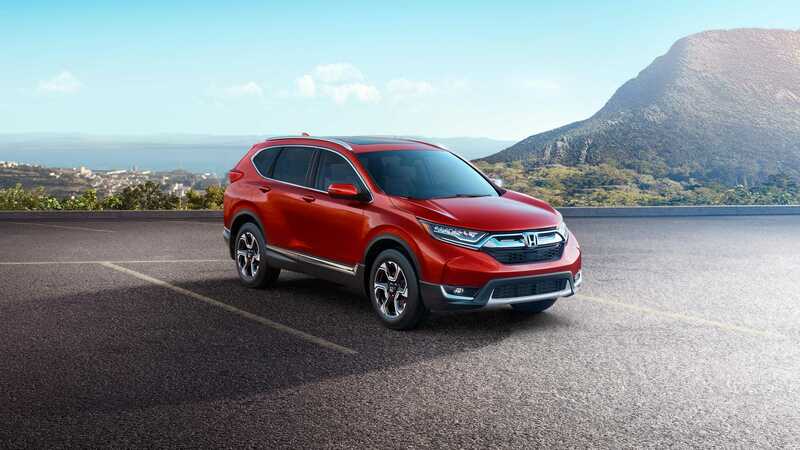 Also featuring Vehicle Stability Assist (VSA®) with Traction Control2, which is specially created to sense and assist in correcting any oversteering or understeering scenarios that may occur, thus enhancing handling as well as cornering stability. 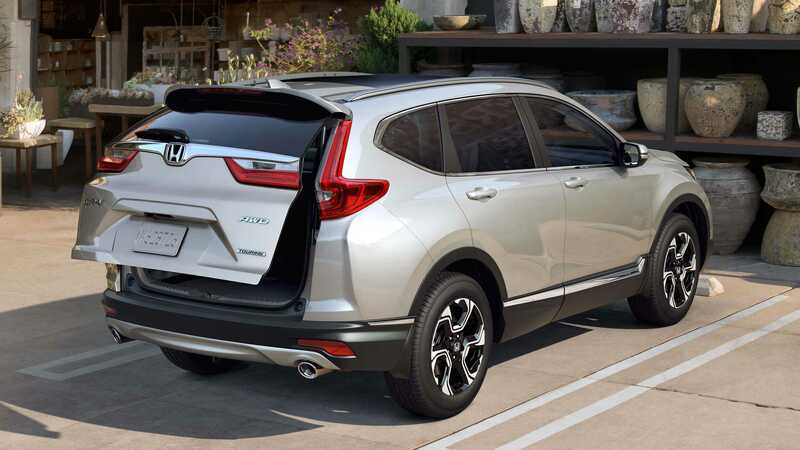 The new CRV is packed with safety features to make you feel comfortable in your new SUV. 1. The ABS does not reduce the time or distance it takes to stop the vehicle. It only helps with steering control during hard braking. 2. The VSA® may not function properly if tire type and size are mixed. Make sure to use the same size and type of tire, and the air pressures as specified. VSA® cannot enhance stability in all driving situations and does not control the entire braking system. Always drive appropriately for the conditions. Does not replace the driver's responsibility to exercise due care while driving. 1. Apple CarPlay is provided by Apple Inc. and only compatible with certain Apple devices and operating systems. Devices, cables and adapters are not included and must be purchased separately. Cellular data and/or voice charges may apply, including roaming charges and/or other amounts charged by your wireless carrier. 2. 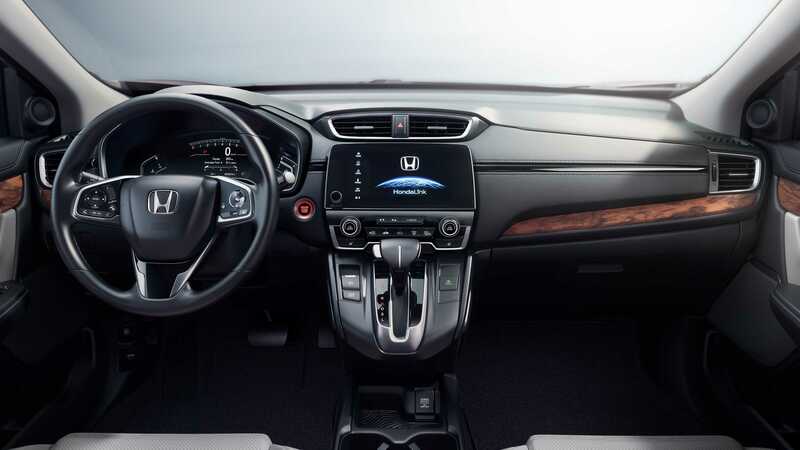 Android Auto is provided by Google Inc. and only compatible with certain Android devices and operating systems. Devices, cables and adapters are not included and must be purchased separately. Cellular data and/or voice charges may apply, including roaming charges and/or other amounts charged by your wireless carrier. 3. Visually confirm that it is safe to drive before backing up. 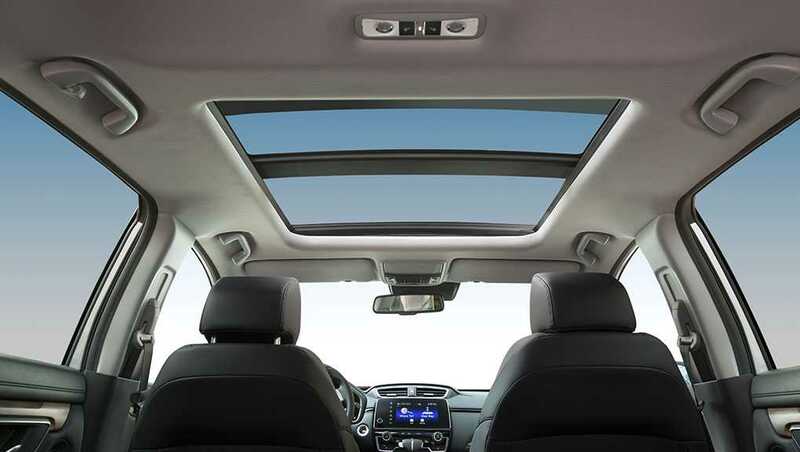 Certain conditions (such as weather, lighting, and high temperatures) may also restrict the rear view. Do not rely on the rearview display which does not give you all information about conditions at the back of your vehicle. 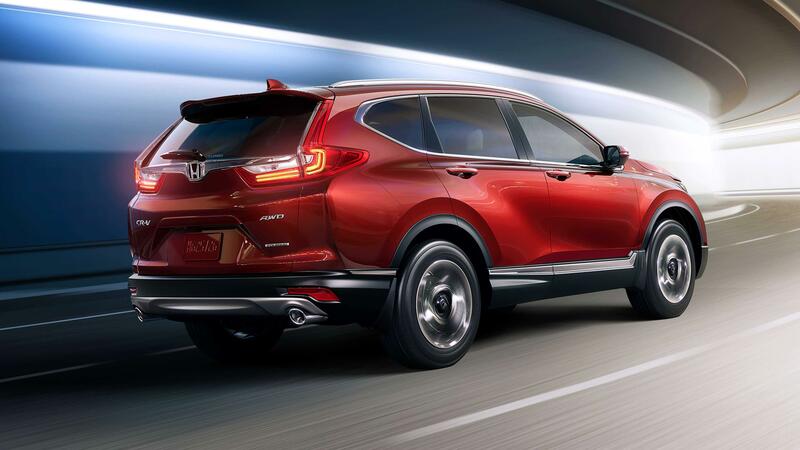 THE ALL NEW HONDA CRV, PERFECTION. MAKE THE RIGHT CHOICE ON YOUR SUV TODAY!